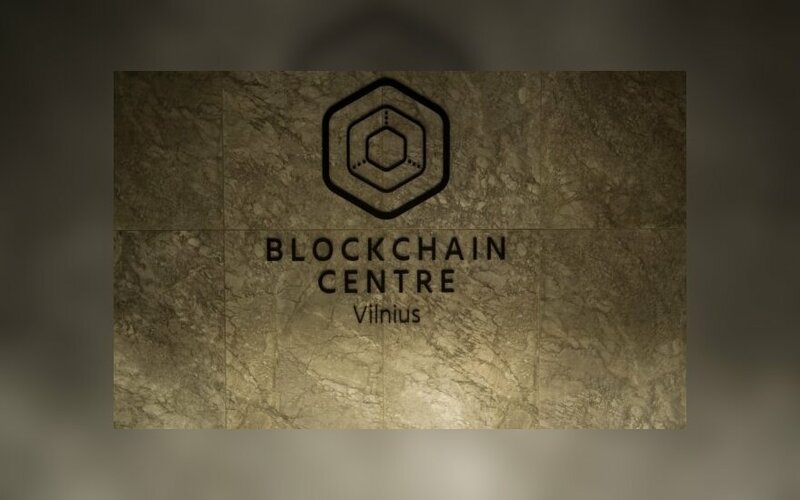 World government officials and private stakeholders met at the European Parliament in Brussels on the 24th May 2018 to discuss blockchain initiatives being undertaken in Australia, Canada, Japan, Lithuania and the United States, a press release from Blockchain Centre Vilnius states. Governments are appointed by citizens to manage the affairs of their country. Their main responsibilities are to ensure the security of a state, maintain law and order internally and protect the general welfare of citizens whilst also being responsible for their general health and education. In one area of this job description world governments have recently been throw a curveball in the guise of cryptocurrencies and the application of blockchain technology. Government must protect its citizens from potential scams and misinformation about investments in a space where some ICOs (Initial Coin Offerings) are gathering millions of euros in investment from consumers, sometimes in just a few hours. Whilst some countries are scrambling to regulate and possibly stifle innovation in the space, others are treading very carefully to allow this technology to breath and gain momentum. Governments don't usually like curve balls, but in this case it has fast become obvious that the adoption of blockchain technology in industry will have profound benefits for both businesses and consumers. The problem arises when governments look to lay down regulatory frameworks that will provide consumers with confidence and protection, whilst also still allowing businesses to innovate and provide better services. Both objectives fit with the role of government in today's world, but this time there isn't a template or model to follow for best practice. The event at the European Parliament in Brussels on the 24th May in partnership with member of the European Parliament, entrepreneur - Antanas Guoga, Bankorus and Blockchain Centre Vilnius was arranged to address this issue, as government members from Australia, Canada, Japan, Lithuania and the United States came together to discuss and present initiatives in their region. Representatives from the Netherlands, Estonia, South Korea and more also cooperated and participated in the debates in various capacities. Moe Abraham of Bitaccess was representing Canada, but was also quick to point out - not the Canadian Government, as his interests lie in private business. The Canadian government identified a problem in that over $300M worth of research grants were being issued every year, but it was difficult to ensure contracts were signed for each grant, audit the total amount of grants issued and make the information publicly accessible. During the morning session at the Australian Embassy Moe presented information about the BitAccess project - Catena, which is a real time search engine for government spending. The National Research Council of Canada through its Industrial Research Assistance Program is using Catena on the Ethereum blockchain to publish grant and contribution data which complements the ongoing disclosure of information already available through the Open Gov website. The service had over 1M requests for information during its first week of launch and over $500M of public spending has been disclosed so far. In a room full of words, Moe came with something tangible and already implemented, and it really captured the attention of the audience. The Canadian government are all in favour of transparency and using blockchain technology to improve the lives of its citizens and It would appear that the Canadian government are placing their faith in private business to lead the way. Canada's neighbours in the USA represented at the event by Paul Thanos, Director, Office of Finance & Insurance Industries at the International Trade Administration would appear to be taking the same approach of letting private business lead the way. Paul presented the position of the USA in regards to four distinct areas that blockchain could bring about improvements for its citizens. In the area of Trade Finance they have identified that blockchain could be used to enable real time fund transfers, accelerate settlements and reduce performance risks with HSBC having completed the first blockchain trade finance transaction to facilitate a soybean trade between Argentina and Malaysia. In regards to payments, it was mentioned that the flow of remittance to developing countries is around $466B per year which is roughly three times the figure of development aid. Visa and Santander are pushing forward in this space with Visa having rolled out the first phase of a blockchain based B2B Connect service and Santander launching a Ripple powered blockchain network to support international fund transfers. In regards to asset management and exchanges, it is has been identified that blockchain could be used to increase efficiency in trading settlements and back office processes and highlighted the efforts of Vanguard, who successfully tested a blockchain application to automate the sharing of stock index prices, and Overstock.com who became the first publicly traded company to issue stock on the blockchain, selling over 123,000 shares. So whilst the government is in full support of the use of blockchain and would appear to understand the processes needed, it is clearly letting private business lead the way and will presumably look to partner with, or purchase outright the correct solutions once ready and available. Lithuania has its own way of handling things and is really punching well above its weight in regards to the adoption of blockchain. How can a country with a population smaller than that of New York City have been able to raise over €500M through ICO projects in 2017, respond to the demand for regulation and accelerate the development of blockchain within the financial industry so quickly? 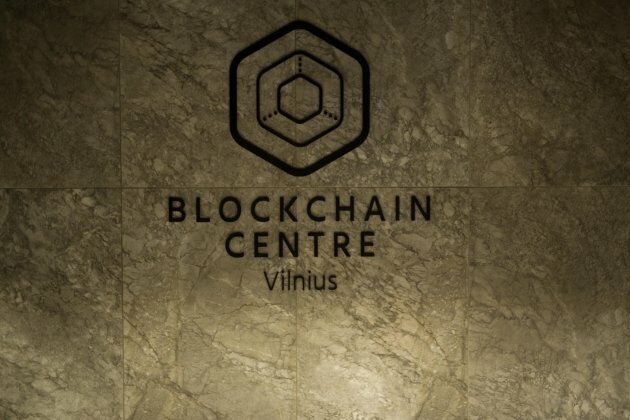 Through open dialogue between forward thinking politicians and financial institutions and the opening of NGO's such as the Blockchain Centre Vilnius - that's how. The LB Chain initiative has been created by the Bank of Lithuania in response to demand for information and adoption, it will act as a safe environment where domestic and foreign companies will be able to develop and test blockchain-based solutions in a regulatory and technological sandbox platform-service. The Bank of Lithuania's has taken this strategic direction to accelerated development of a FinTech-conducive regulatory and supervisory ecosystem while still fostering innovations in the financial sector and is positioning itself to be a world leader in FinTech. From a country with just under 3M people to a country with a population of 127M, Japan is certainly a bigger player geographically, but would appear to be following a similar path. Japan's representative - Kazuyuki Shimamura - Director for Financial System Stabilisation Planning Office for Financial Services Agency of Japan (JSFA) focussed his contributions on examples of government policy in regards to blockchain, which focussed heavily on consumer protection. Japan has identified, in a similar way to the USA, certain areas of focus: Policy relating to virtual currencies and ways to cultivate an innovative environment. Regarding virtual currencies - observations are underway which have shown high price volatility and the Japanese government want to investigate whether exchange service providers are equipped with appropriate IT systems, including IT risk management systems, while still creating a balance between innovation and consumer protection. The Payment Service Act is already applicable in Japan but the JSFA want to create a registration system for exchange service providers of virtual currencies for legal tender, and establish a legal framework to ensure the confidence of users and prevent the transfer of criminal proceeds hence creating revisions to the Payment Service Act in line with technological innovation. As well as a regulatory framework for safe practice the JFSA have created a supporting framework for financial technology innovation in the guise of a dedicated Fintech Support Desk established in 2015. This acts as a one stop contact channel for FinTech businesses and aims to answer all enquiries with 5 working days. Further to this, the Fintech Proof of Concept Hub or Innovation Hub as it's more widely known, aims to support innovative projects that lead to user convenience and increased productivity for companies within Japan. For each selected proof of concept project the FSA sets up a special working team who continually support the project by giving advice on issues related to compliance and supervision. Japan is taking measures to facilitate experiments related to FinTech in an attempt to eliminate any hesitation by FinTech companies and financial institutions when implementing unprecedented experiments. Kazuyuki also mentioned that any related government agencies will also cooperate and take measures to remove obstacles beside those pertaining to finance-related laws and regulations. It is clear that at the heart of Japan's initiatives lie the overriding need to protect its citizens - more so perhaps than other nations at this point in time. To a degree I feel that this hard regulation and red tape may stifle the technology adoption but It could also lead to the most efficient and streamlined version of the tech, which given Japan's innovative history, would probably be more applicable. One of the best speakers of the day for me was the person who first took the time to explain some basic principles of blockchain technology before diving headfirst into specific projects - Rob Hanson, representing Australia is a senior honorary fellow at the Autonomy Agency and Assurance Institute at the Australian National University, and senior research consultant at Data61, the innovation hub of CSIRO. In a case study that looked at an organisation called AgriDigital.io an Australian organisation, Rob explained how traditional wheat farmers and intermediaries buy and sell procedures faced issues with the amounts, quality and traceability of products - information that would be required by banks to administer loans to make purchases. Applying blockchain to the problem meant they were able to create a transparent ledger of information that could be used by all parties and treated as 'one source of truth'. The effects of this are now seen across Australia and testing is taking place to apply blockchain to trade finance and in other areas. Hidden amongst this deluge of information is the key takeaway for me. It was said multiple times that in order for governments to fully understand how to regulate the space correctly, that first they must understand the space they are trying to regulate. The growing move towards the tokenization of assets to create liquidity and the fact that It is no longer the case that an organisation or startup is based in just one geographical location anymore needs to be understood and accepted as common practice. For example an anti money laundering law in the USA where the company headquarters are located may not be applicable if there operations are occurring in another country, with different, or no regulations. It doesn't appear that the problem will be solved anytime soon, in the European Union at least. For example, confirmation of the definition of a security token in the EU may only occur after the elections of the European Parliament in May 2019. So simply put - organisations in the crypto and blockchain space are becoming nomadic, they are moving operations to the locations that suit their business model best and in the interests of continual workflow this would appear to make sense for them. For regulators on the other hand, it creates more headaches, and the need for 'one world regulation' is fast becoming reality in this ever shrinking global economy. My major fear is that the regulators will be playing a constant game of catch up unless they act quickly to address major issues pertaining to geographical borders and legal jurisdictions and ironically the decentralisation of governments and decision making may be the only way forward for blockchain technology to reach its true global potential. However, the EU is showing active engagement in debates looking to encourage and expand the application of blockchain technology, numerous research projects are being funded and the formation of a European Blockchain Observatory Forum is a truly positive sign that Europe is keen to lead, and not follow. "The fast will eat the slow and no one wants to be eaten!" Taavi Roivas, Member of the Estonian Parliament, and former Prime Minister of the country.